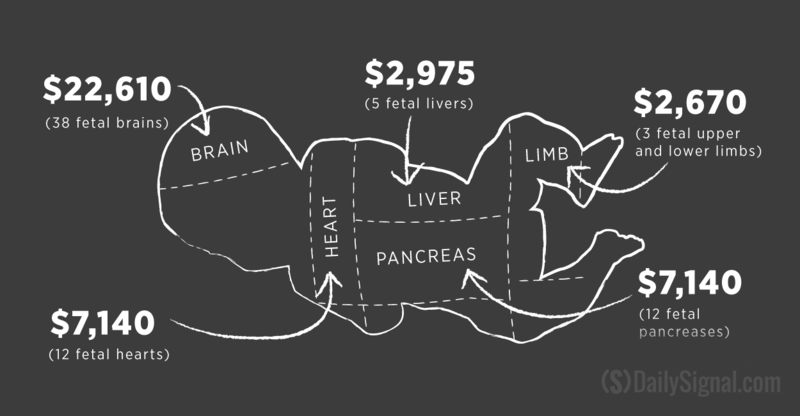 I'm thinking a lot about the industry running rampant in our fair land - abusing women, killing their babies and selling the body parts. 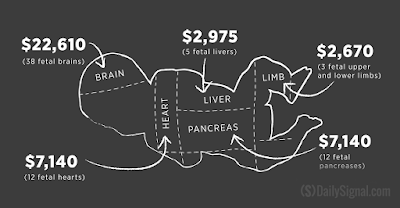 Planned Parenthood charges, oh, $600 to kill baby Elizabeth during the first trimester, $2000 during the second trimester or between $5K and $10K during the third. Then they turn around and sell her dismembered body parts for, oh, $890 (limbs with hands and feet attached) and $3400 for her brain. 60,000,000 abortions in the US since 1973, about 50,000,000 currently every year worldwide and about 120 of these murders per hour in New York. One way of looking at this sick industry is that if we laid end-to-end all the 1.53 billion babies murdered worldwide since 1980 - that horrific train of destruction would wrap around the earth's equator 70 times. My friends say "abortion stops one beating heart and breaks another" - about 60 times on our planet since you began reading this post. "Father, please forgive me for so long neglecting to pursue an understanding of this horror. Forgive us for becoming insensitive to the infanticide around us. And by the unlimited power only you possess, please stop this monstrosity in our land and in our world. In Jesus' name, amen!" I grew up in the Assemblies of God denomination and spent early adulthood in the Charismatic movement - and I'm very thankful for so much of my upbringing. But I do recall many a direct statement, and many more indirect ones, that subtly mocked the mainline churches for their rigid services that weren't "led by the Spirit". The sentiment at the time was that any church service that didn't just go with the flow of the spirit (whatever exactly that meant!) was "religious" (the Pharisaical type, of course) and then the worst of all pronouncements would be made - these churches were "legalistic". These legalistic churches were at best to be pitied and at worst - to be avoided like the plague. What would my old brothers and sisters in Christ think of me now - going to a modern liturgical church pastored by an ordained Anglican? And so it is in our church. Every Sunday we take communion and every Sunday we recite that old response. And I love it - every time. And every time, that last line chokes me up - I think because all my hopes and dreams are pointed at that great Day. "Thank you, Father, that Christ will come again and make all things new..."
Andrew Murray was a missionary pastor in South Africa during the 19th century, and he wrote a devotional book on the subject of humility that's been a part of my personal transformation process lately. At first, his laser focus on humility as the secret sauce of all Christian living seemed to me a bit over-wrought. I mean - come on - every author and every speaker will tell you that the subject of the book they're promoting or the talk they're giving is the one thing you really need and of course the one thing you're truly missing. But surely humility, among all the other virtues, isn't the most important, is it? Well, after spending about 3 months of my team devotions (with men I so greatly respect) going through this book, I'm ready to agree with Mr. Murray. On many pages I found the temptation to highlight almost every sentence. My friends and I found multiple discussion points in every chapter - challenging us to think differently, to act differently and ultimately to seek to become a totally different kind of man. With that said, there's no way to comprehensively review Humility without taking more of your time today than you bargained for - so I'll leave you with just one passage from chapter 12 that has set so clear a direction for my heart. to remind you of your need for humbling and to help you in it. and set your heart upon it as the source of all blessing." I recommend you get a few copies of this little book and a spend some time with a few close friends looking deeply into it. I think you'll be happy you did. 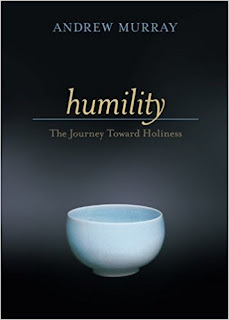 "Father, I think I'm ready at least to point my days toward living in humility before you. Please guide me and my friends in more humble choices and moments - that we may know you and come ever closer to your heart alone." One of God's weekly smiles to Lisa and I comes in the gathering of believers that meets in our home. We've become like family to one another in many ways. We eat together, we study the scriptures together and we recreate together. Best of all we find that we're growing together in fits and starts to better bear God's image in the world. Last night we talked a bit about grieving loss and pain. Each of us have lost some things in our lives that were dear to us - perhaps some things we held too dear - but whatever, we've lost some things, some influence, some possessions, some relationships, some vocations or some dreams. We've been hurt and we've hurt others. We talked a bit about how to process grief, and how the ancient Jewish poets reckoned losses and hurts they were experiencing with God's great promises to them. We call those songs "laments". A lament simply starts with expression of deep sorrow or grief. No holds barred and nothing held back. All the hurt, all the pain - get it out on the table for God and the world to see. The great lament Psalms as well as many of the prophetic books are beautiful examples of how real people got real with God - no sugar coatings or trite happy sayings or giddy denials of reality. 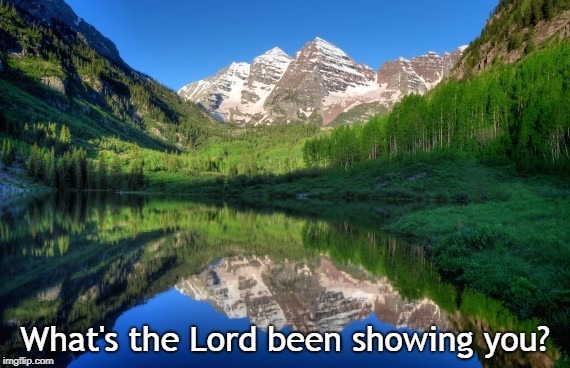 But because of their great God, and his saving work in their lives in the past - they had faith. Even still, given their pain and loss - those folks held on to some core beliefs in their all-powerful-always-good God and his great promises of a bright Kingdom future for them. So their laments ended not in some nihilistic abyss, but with hopeful expressions of their faith. And thus their souls were soothed. They made sense of their lives and after the mourning and grieving - they got up. They got up with the strength of heart and mind to build and rebuild and go back at life again in hope. That's how laments worked for them, and I'm finding that's how they work for me. Here's a beautiful lament song that I can't stop tearfully singing. Andrew Peterson's Remember Me comes from the place of the thief on the cross hanging next to Jesus. Check out how the song begins in grief. The countless we have killed"
You saw a day that's coming soon. singing the song of the radiant bride..."